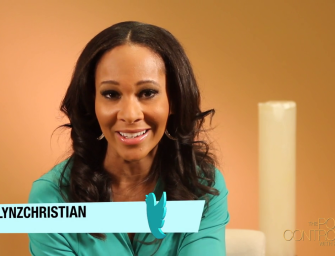 TV Personality Lyndsay Christian had a transforming experience this year that shifted her life into full purpose. Listen to her how she’s paying it forward! The cliché that sticks and stones may break our bones, but words can never hurt us, is a misconstrued declaration of self-empowerment. The fact of the matter is that our words have power and if we are truly going to empower one another, we must speak with careful consideration of the power held in our words. 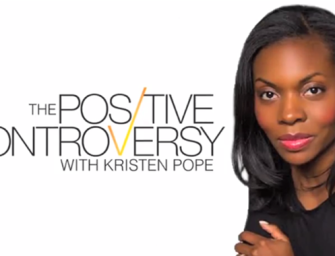 We hope that you all join the conversation in Episode 4 of “The Positive Controversy,” as I sit down with, Life Coach, Author and Speaker Dee Marshall and TV Personality Lyndsay Christian, two women that truly empower me be bold, beautiful and brave and would never refer to me as a demeaning “B” word. It seems the timing of the trailer for our episode four, “The Other ‘B’ Word,” serves well to offer our team’s tribute to Dr. Maya Angelou. If there is nothing else to hold fast to in the wake of a mighty loss, it is the legacy she left of embracing one’s own womanhood.